Fashion keeps evolving every year as new trends in clothing goes viral worldwide. It is said that your dress defines your personality. Everyone wants to make an impact with their new style of dressing and grab attention at once. Some of them make controversies while the others make the person popular. 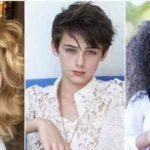 If you like to try out new clothes and follow the trend and sometimes stay ahead of it, you need to know the clothing lines coming up in upcoming future. Here are 13 advanced dresses that are likely to fit the market and become extremely popular. Also Read: 12 Unexpected Things That Will Surely Happen By 2050! For people who will use this jacket will not have to bother with carrying their luggage. 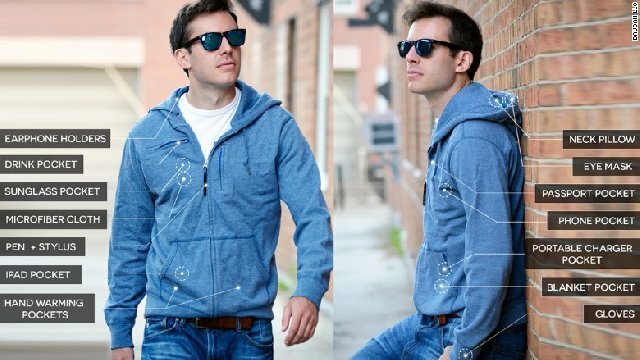 This jacket has many pockets to hold all your belongings. This coat can store all your items including drinks. This clothing will give you a custom-made training experience. Get 3D imaging of your exercise with the touch of a button. 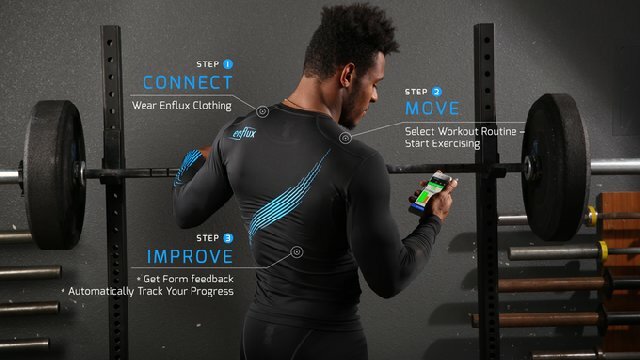 The enflux exercise clothing will provide you with a digital coach. What if you put on clothes which are bioskin and made up of the biomaterial. It will keep you warm in winters and cool in summers. It quickly enables a person to suit the environment and is suitable for any weather. For people who are looking to make Mars as their alternate home, this will serve as the best suit. It is specially designed by NASA for astronauts and also looks super cool. We know that technology is the next big thing. 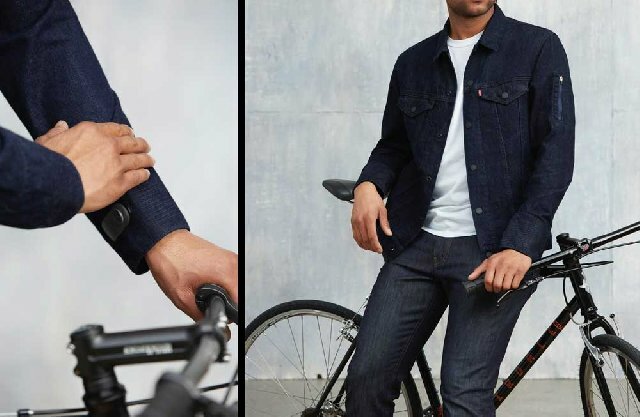 The already launched Google’s “Levi’s Commuter Trucker Jacket with Jacquard” lets you answer a call by tapping on the sleeve of your jacket. 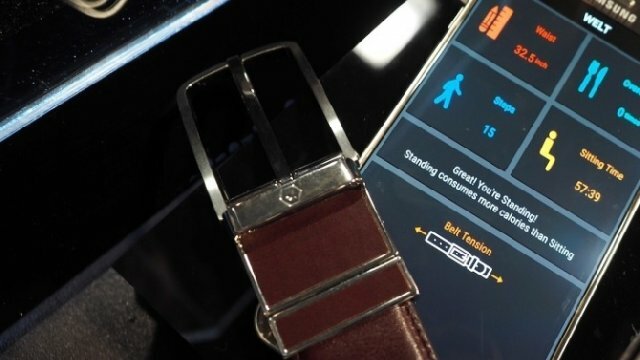 Apart from clothes, even accessories including belts can be useful in tracking the health of the person wearing it. Technology has already entered our lives and now it is entering in our belts. In the movie ‘Fifth Element’, Milla Jovovich wears underwear as an outerwear. The costume which was designed by Jean Paul Gaultier is a bandage bodysuit and comes in a small piece. 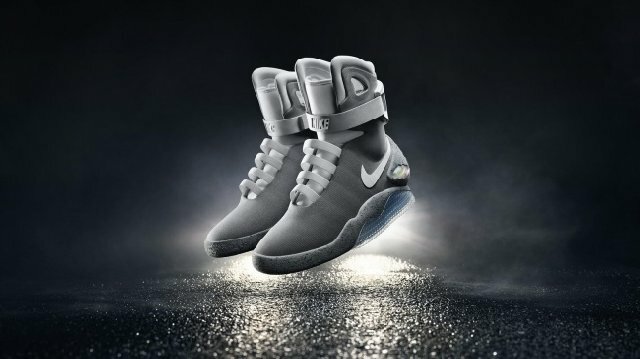 When you put on ‘Back to the Future’ shoes by Nike, then you don’t have to bother to lace your shoes. 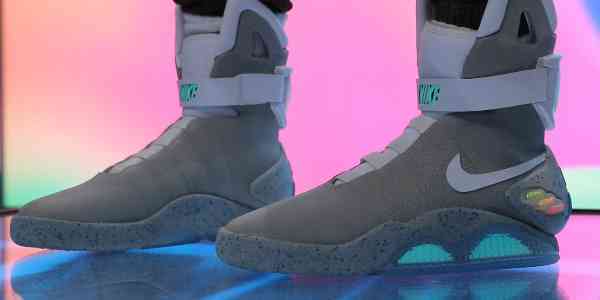 It was created by the company for the 30th anniversary of the film and was sold in a lottery. For people who hesitate to change clothes, this will serve as the best dress. The seamless dresses will be easy to put on and also to take off. However, the weather might be a concern. 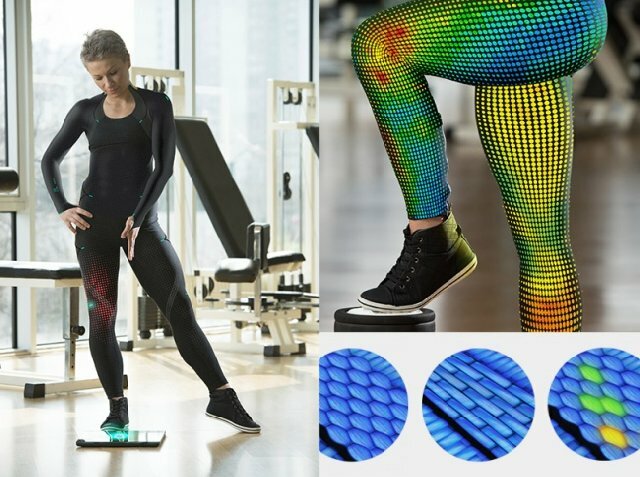 The superflex powered clothing comes up with a sensor technology. It is a hi-tech suit which allows doing physical therapy for quick recovery. The conductive technology of the costume will keep a person in best corporeal form. This will serve as the best dress for people who are looking to use energy from other sources. The solar panel of the dress comes as a lifesaver for many people. The primary motive of this wearable is to adapt to the people around us. It changes the shape with the gaze of people. This technology can be very useful in clothing as it responds according to us. Imagine if you can adapt to any environment and in any atmosphere. 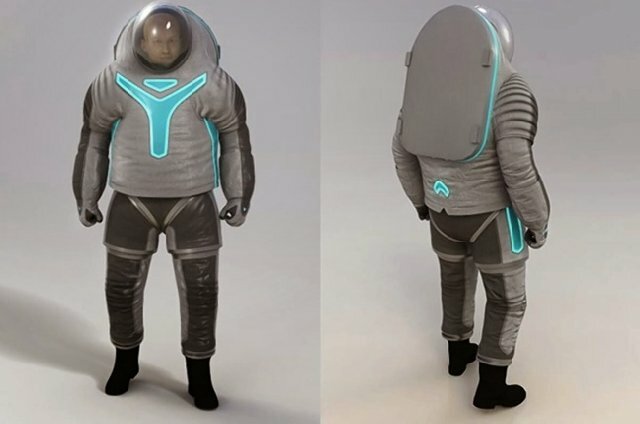 The bioengineered spacesuit has bacteria which produces chemical reaction for you to adapt anywhere. Which one of these do you think will make the most impact and how would you like to modify them to suit your personality, do let us know in the comment section.